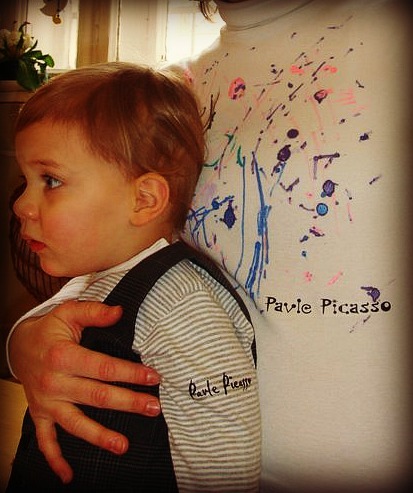 My favorite Halloween/Carnival costume has got to be when P and I dressed up as Picasso and his painting (Pavle=Picasso, mama=painting). P was not even 2 years old. I wasn't going to put a huge costume on him for that day, I was going for something we could have fun with together, but later on as a costume it had to be something he wouldn't even notice, otherwise he would take it off right away. I let him 'pain' my white top the day before the party at his nursery. I also found a 2 'Picasso' fonts and made iron-on signo for the painting and P's arm, only changing Pablo to Pavle. And that is it. Check out my Halloween pinterest board for some last minutes ideas and printables. 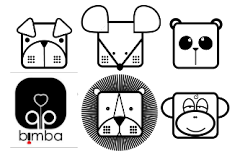 Blood type, zodiac sign toys? Yes!